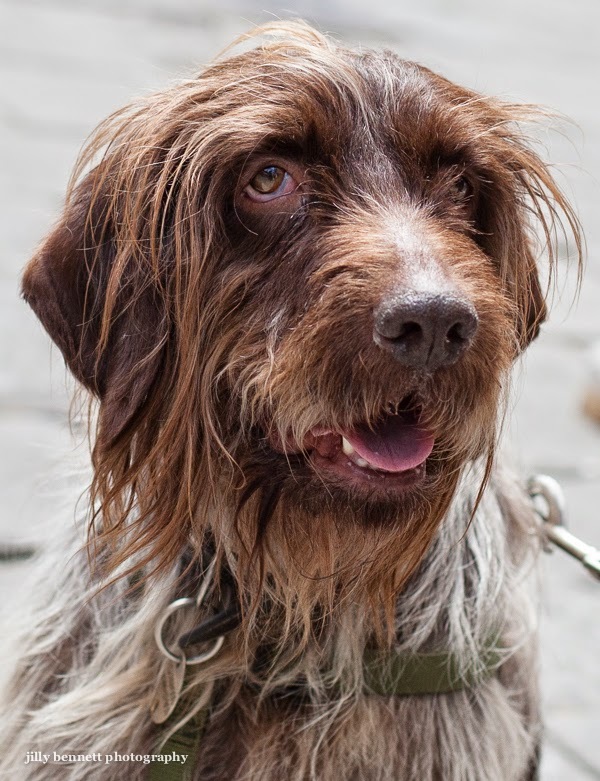 This is a Griffon Korthals - such an appealing breed. He's called Balloo, he's 7 years old and he has had a stroke but he's doing well. I met him in San Remo, across the border in Italy although Balloo and his family live in Castres in south-west France. 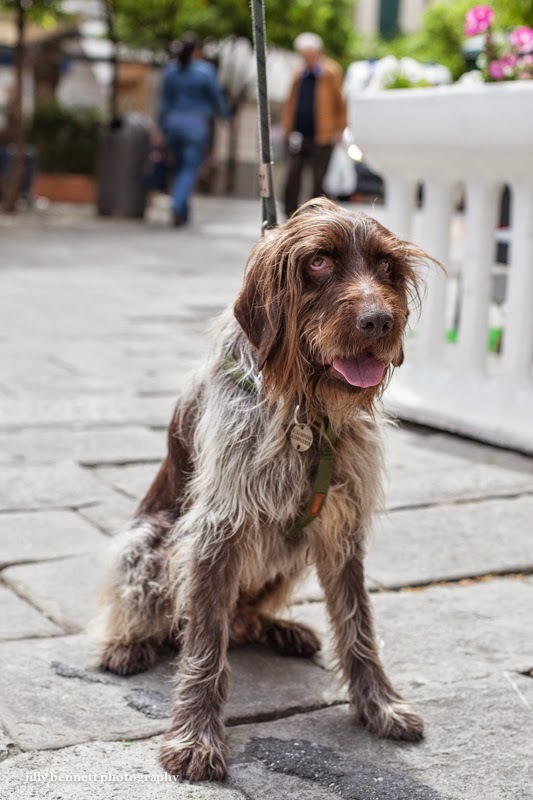 A Griffon Korthals is a wire-haired pointing Griffon, thought to originate in Holland. 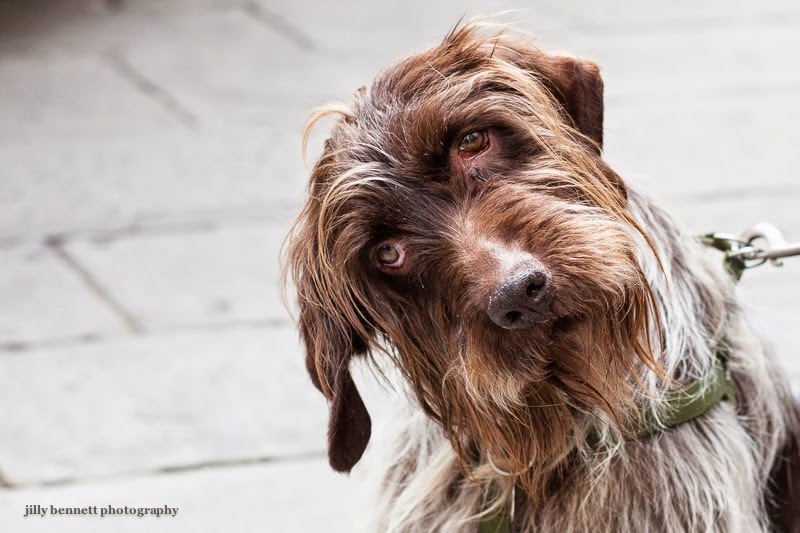 Jilly - I have never heard of this breed but he is so lovely and I do hope he is doing better after his stroke! He is so cute, not familiar with this breed.